Home » Why Should You Consider Installing An Energy Star Air Conditioner In Your Home? If your home has an outdated heating and air conditioning system, you might be considering upgrading. Try an Energy Star efficiency system. Home systems that carry the Energy Star label have been certified to meet specific energy efficiency standards while also meeting key performance benchmarks. Save yourself some money and become an Energy Star home with Sanders and Johnson. Of course, installing a new HVAC system in your home is a major investment, and it’s not a purchase you should take lightly. You want to make sure that upgrading is the right choice for you, and that means understanding some of the key benefits offered by Energy Star air conditioners and heaters. Cut your monthly energy bills immediately — An Energy Star certified heating and cooling system, you can save on your utility bills. It’s possible to cut your cooling costs by up to 30% when you go green. Don’t we all want cheaper utilities bills? Be sure to research the best units for your home with information from Sanders and Johnson. Reduce your environmental impact—Energy Star units will help protect the climate by preventing carbon pollution and significantly reducing greenhouse gases. These gases are released into our atmosphere. However, upgrading to an Energy Star home it is one way to help protect the earth. Enjoy excellent home comfort—Not only are Energy Star certified HVAC systems more efficient, but they also deliver excellent performance. You’ll enjoy maximum indoor comfort with your new system. 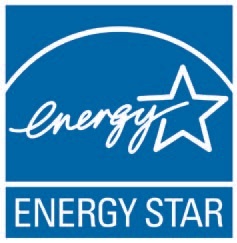 Are you considering upgrading to an Energy Star home system? 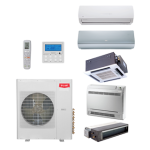 We offer a range of Denver air conditioning and heating services, including professional, guaranteed installation.